Motoring news and views from the usual team. James May travels to California to take a look at what is being hailed as the future of motoring, the hydrogen-powered Honda Clarity. Motoring news and views from the usual team. James May travels to California to take a look at what is being hailed as the future of motoring, the hydrogen-powered Honda Clarity. 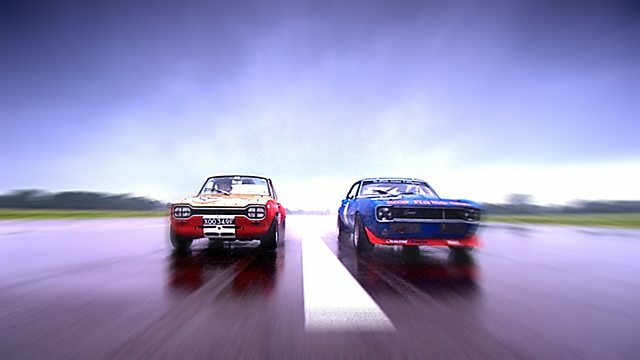 Meanwhile, out on the test track Jeremy Clarkson has a high-voltage encounter with the Tesla, a battery-powered super-car, and Richard Hammond takes an affectionate look back at 50 years of Touring Car racing. The star in the reasonably priced car is none other than Tom Jones, and there are some festive fun and games in the studio to boot.